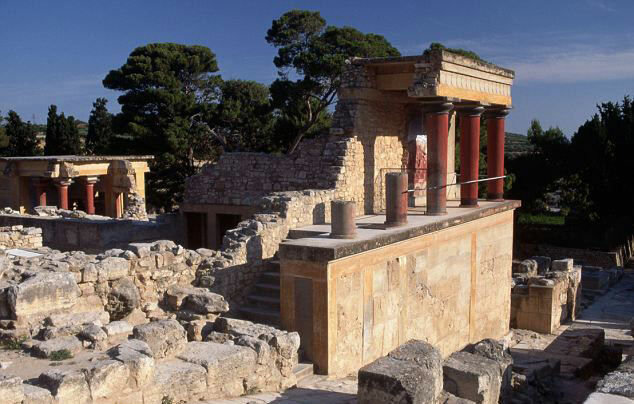 The British archaeologist Sir Arthur Evans in the early 1900s named the Minoans after a legendary Greek king, Minos. 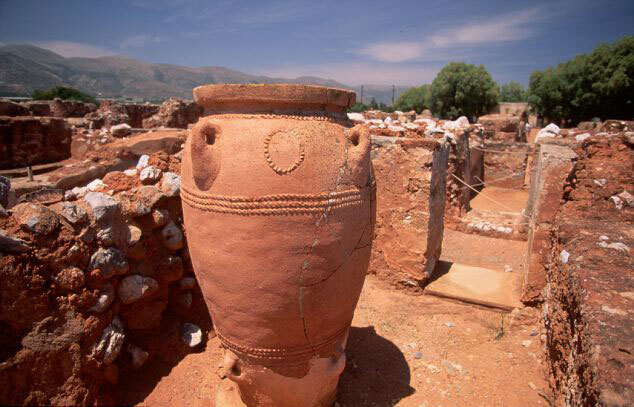 Based on similarities between Minoan artifacts and those from Egypt and Libya, Sir Evans proposed that the Minoan civilization founders migrated into the area from North Africa. Since then, other researchers have suggested that they may have come from other regions, possibly Anatolia, the Balkans, or the Middle East. Now, scientists led by Dr John A. Stamatoyannopoulos and Prof George Stamatoyannopoulos, both from the University of Washington, have used mitochondrial DNA (mtDNA) analysis of Minoan skeletal remains to determine the likely ancestors of these ancient people. The team analyzed samples from 37 skeletons found in a cave in the Lassithi plateau of Crete and compared them with mtDNA sequences from 135 modern and ancient human populations. The Minoan samples revealed 21 distinct mtDNA variations, of which six were unique to the Minoans and 15 were shared with modern and ancient populations. None of the Minoans carried mtDNA variations characteristic of African populations.